Here's Susie's newest creation, the "Artist's Palette Quilt". It is made from a gorgeous, colorful array from Batik Textiles Tone on Tone fabrics. 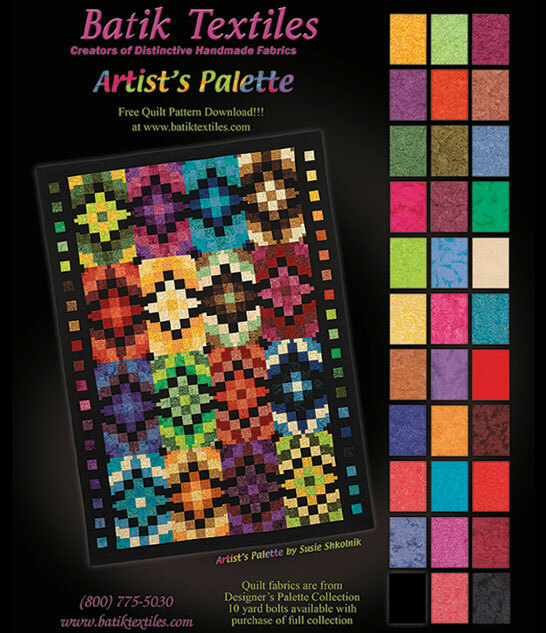 DOWNLOAD the flyer & pattern Here & create an Artist's Palette Quilt of your very own.